In the wintertime we don’t have fruit and flower festivals, with hay rides or corn mazes, however there are still plenty of Circle Farm Tour shops open for business from Pitt Meadows to Agassiz and in between. We went on a valley road trip with friends last weekend and ended up what I now call the “land of cheese and honey” tour. Details: Home of the annual Bees and Blueberries Festival in the summer, Dr Bee’s Honeyland has acres of organic blueberries outback and their farm gate store has various honey prodcuts and an interactive/educational display. 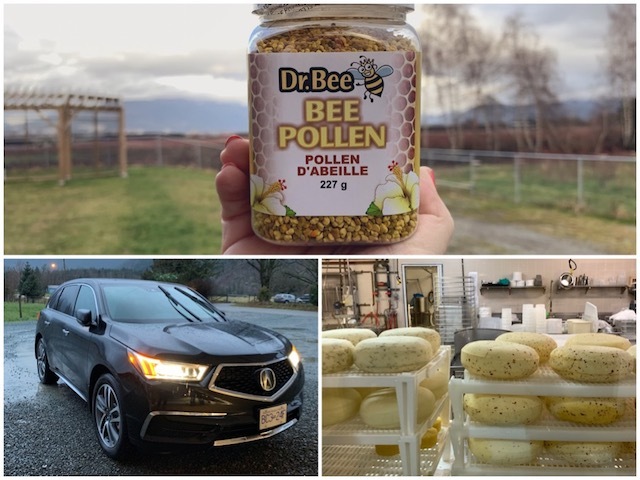 Stop in for complimentary honey tasting, honey products, bee pollen (we got some for our smoothies), honey-based soaps and a variety of other all natural items. 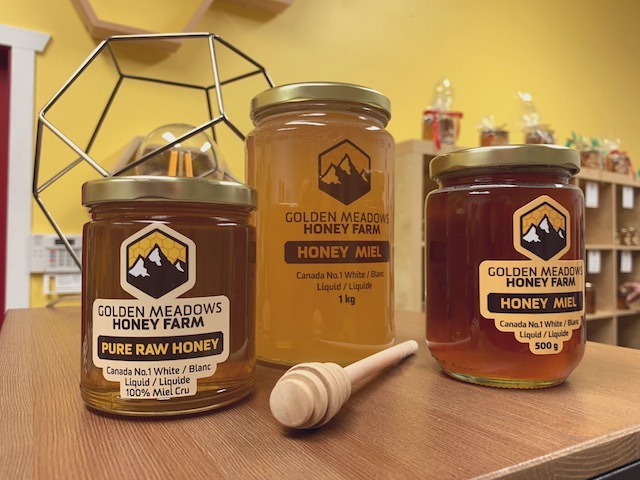 Details: The shop has two sections: One with all the tools of the trade for beekeepers, and another is a bee-themed boutique with bee jewelery, baubles, trinkets, and of course honey. After another complimentary tasting, we scooped up a jar of the fireweed honey and learned about upcoming events in store. Details: A kitchen supply shop filled with unique, artisinal sauces, dips, crackers, and more along with a wide selection of frozen/take-away meals and of course… cheese! Cheese samples, cheese products, and a bistro right inside the cheese shop. Open 9:00am to 5:00pm, and if you’re lucky you’ll get there on poutine day when they use their own squeaky curds to make this decadent Canadian comfort food. They also host cooking classes in their country kitchen along with special events like an upcoming Valentine Wine Dinner. Details: We got there a little too late – they were sold out of curds! However, we picked up some goat gouda and a cheese snack pack from the farm gate store in Agassiz. A calendar on the wall told me that they were also at the Riley Park Farmers Market in Vancouver earlier that day. They also have an ice cream counter, which is a delicious treat any time of year. You can also with the farm animals in the barn or pasture out front. For more information about the self-guided tour we followed, visit the Circle Farm Tour website. They have maps for Pitt Meadows and Maple Ridge; Harrison Mills and Agassiz; Chilliwack; Langley; and Abbotsford. This is not a sponsored/paid post but thanks to Honda Canada for providing the Acura MDX for our tour! Heated seats for all when we got back into the car after petting barn cats in the rain, a sunroof through which the Super Blood Wolf Moon appeared, and adaptive cruise control that allows you to maintain your speed as well as a desired interval from the car detected ahead. There were also lots of handy stowaway compartments in the trunk for all of our cheese purchases.